Single phase AC Switchboard with an automatic changeover from the LU supply to a DNO supply when the LU supply is lost. The switchboard feeds four tunnel lighting circuits which are automatically invoked when their associated traction supply is switched off. 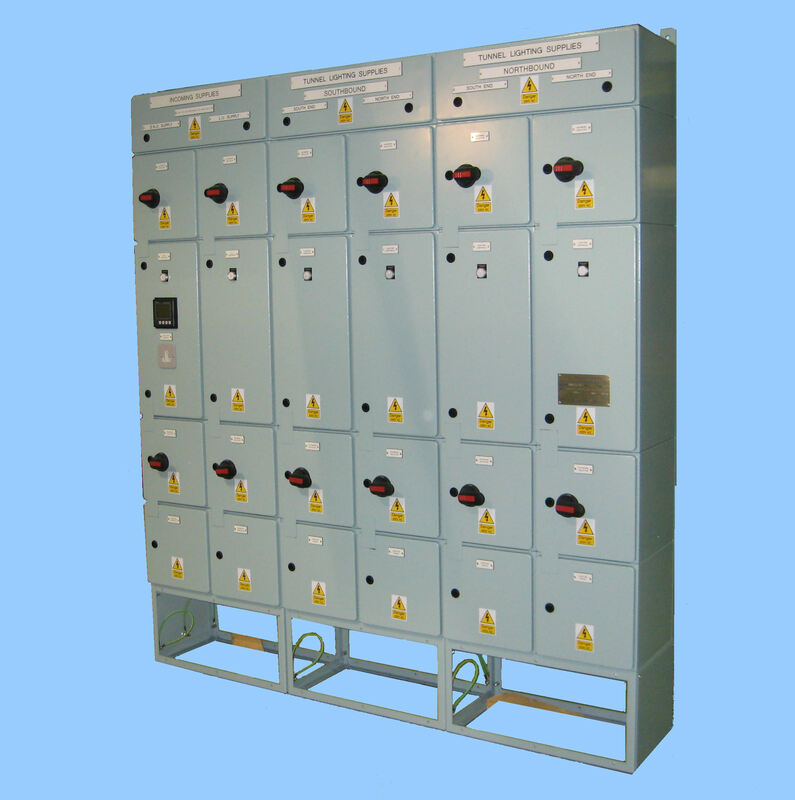 The switchboard can be divided into three sections to enable installation into limited access switch rooms.